So, food allergy is an important public health problem, as it affects countless children and adults. It affects up to 6 to 8% of children and up to 2 to 3% of adults. There has been a significant increase in the past 20 years in food allergy. 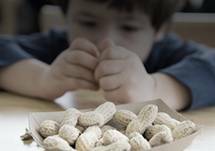 In the U.S. alone, peanut allergy has more than tripled in the past decade, and food allergy-related emergency visits have nearly tripled in the past four years. Food allergy results in a significant direct medical cost in the U.S. health care system and an even larger cost for families facing food allergies. In a study looking at U.S. caregivers of children with current food allergies, there is an overall economic cost of food allergy that was estimated at 24.8 billion annually, which was approximately $4100 per child. The direct medical cost to the U.S. health care system was at 4.3 billion annually, which included clinic visits, emergency room visits, and other hospitalizations. Costs that were borne by the family was totaled to be at 20.5 billion annually, which included lost labor productivity, out-of-pocket costs, and opportunity costs as well. One of the main barriers we face in having our patients treat food allergy anaphylaxis is administering the epinephrine auto-injectors. In a large survey of caregivers with children with food allergy, 56% of parents reported that they were afraid to use their child’s epinephrine auto-injector in the face of a food allergy anaphylaxis event. The most common reasons that they cited for their fear were either hurting the child or actually using the epinephrine auto-injector incorrectly. Due to these barriers, when facing a patient that has food allergy, we need to develop a food allergy anaphylaxis action plan. That begins with the correct diagnosis of food allergy with the help of a board-certified allergist. Once a food trigger has been identified, that patient needs to be educated on avoidance through proper reading of labels and avoidance of that food trigger so they don’t develop food-induced anaphylaxis. Because we know that the large majority of our patients will at some point face food allergy-induced anaphylaxis, we need to teach our patients on how to use an epinephrine auto-injector, and we also need to prescribe that epinephrine auto-injector on a yearly basis. Lastly, we need to make sure that we have good follow-up with our patients in dealing with their food allergy. Food allergy tends to be a lifelong problem, and because of that, we need to reinforce food avoidance, the proper reading of labels, and again, additional training on how to use epinephrine auto-injectors in the face of food-induced anaphylaxis. More than half of parents are afraid to use their child’s epinephrine auto-injector. Here’s how you can help them develop a food allergy action plan. 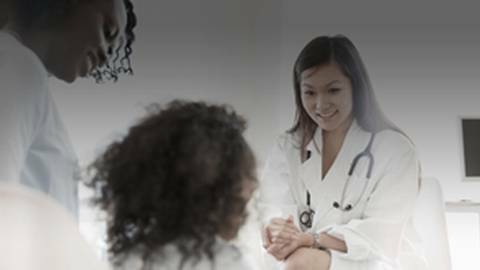 With the prevalence of peanut allergy on the rise, there’s a lot physicians need to know about diagnosis, treatment barriers, and its impact on our healthcare system as a whole. Taking a look at each of these pieces in this problematic puzzle is Dr. Wesley Sublett from Family Allergy and Asthma in Louisville, Kentucky.